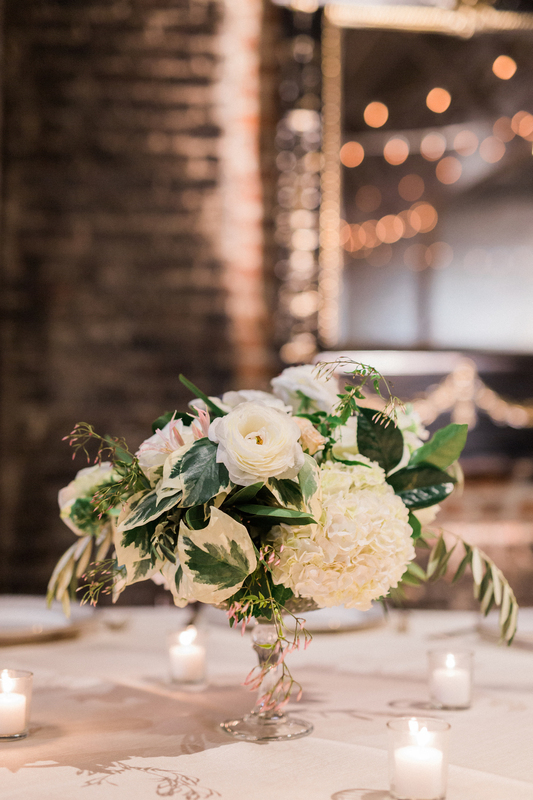 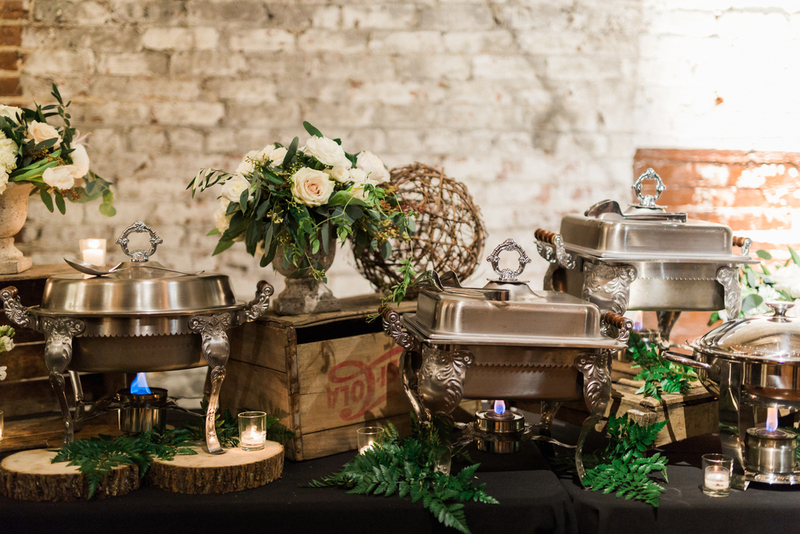 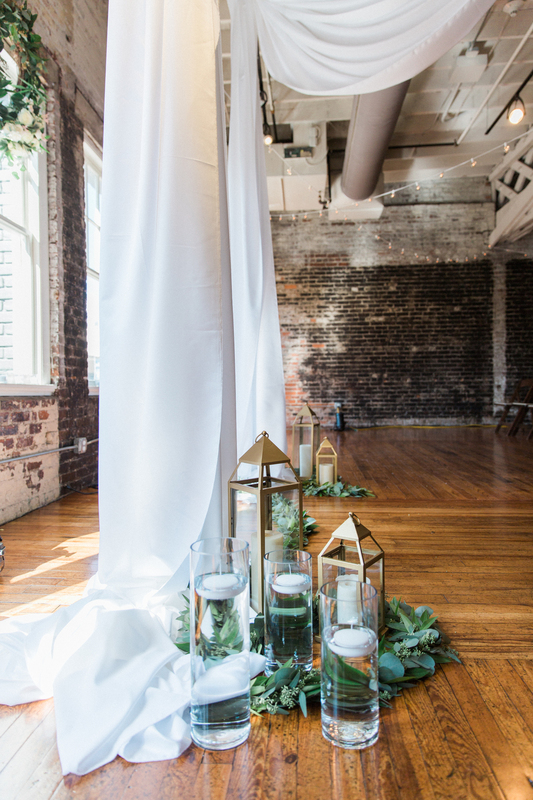 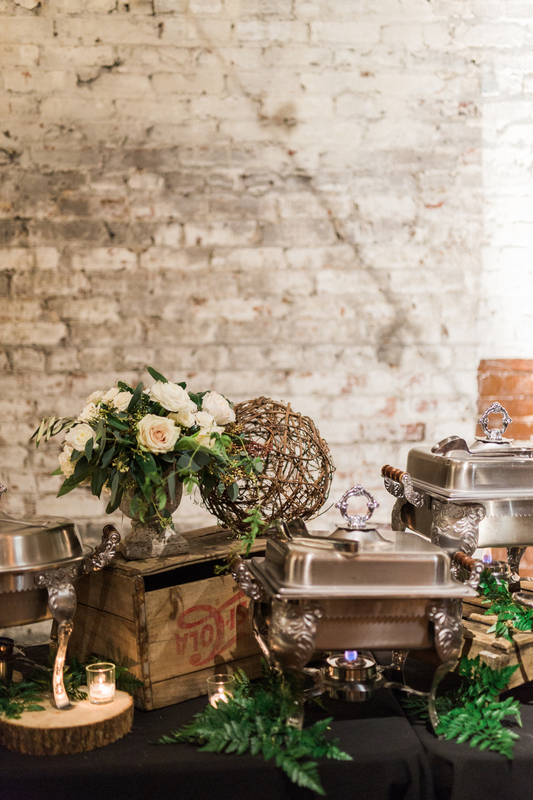 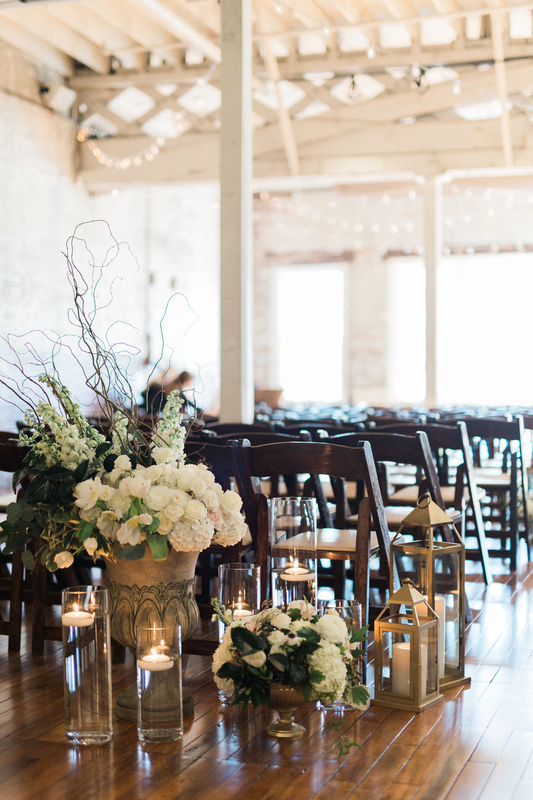 Lane and Brandon's romantic, classic wedding at The Stockroom in late Winter was our first after returning from Intrigued Experience where we learned the tap bouquet method from Katie Davis of Ponderosa and Thyme. 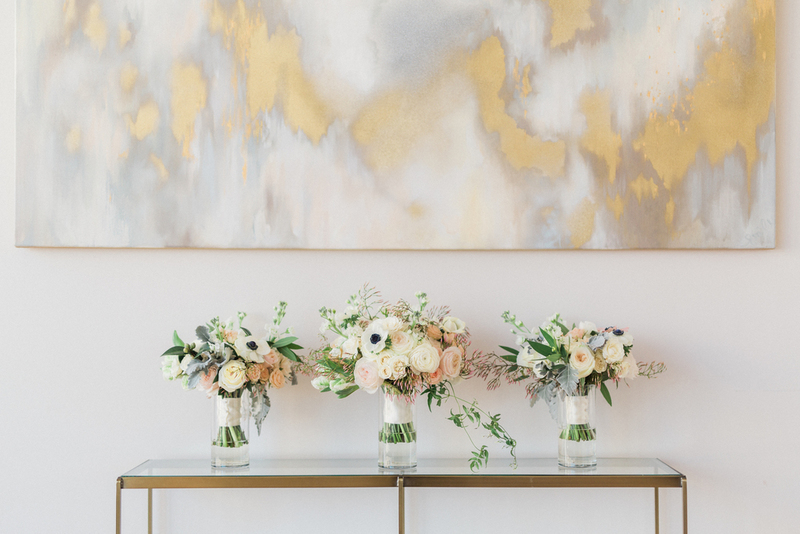 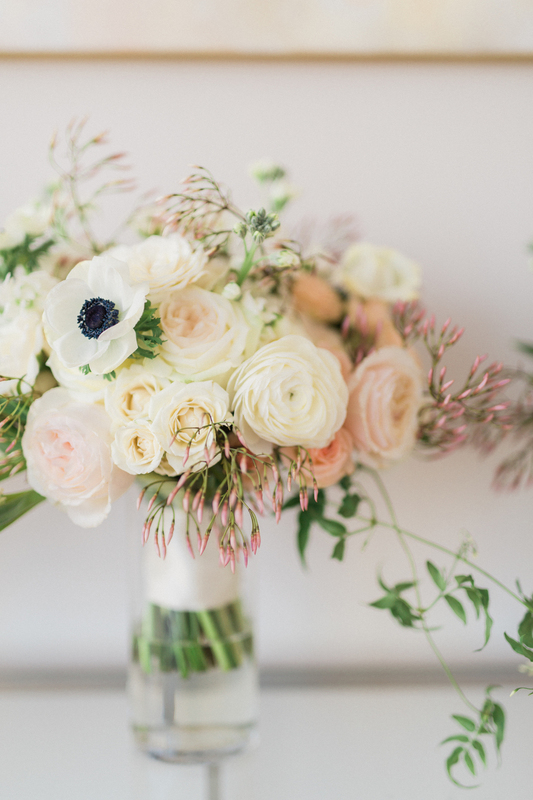 Lush and soft blooms such as garden roses, ranunculus, tulips, anemones and stock, paired with jasmine vine, eucalyptus, bay laurel, camellia foliage, and variegated bush ivy for dreamy florals! 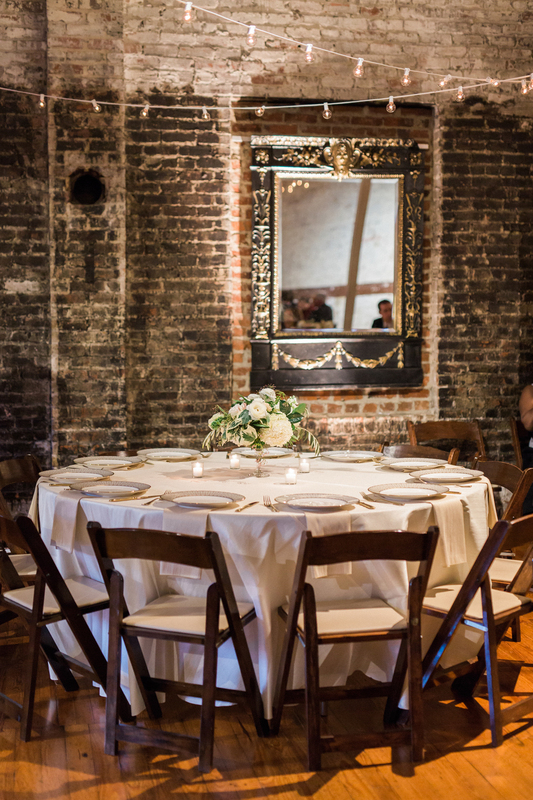 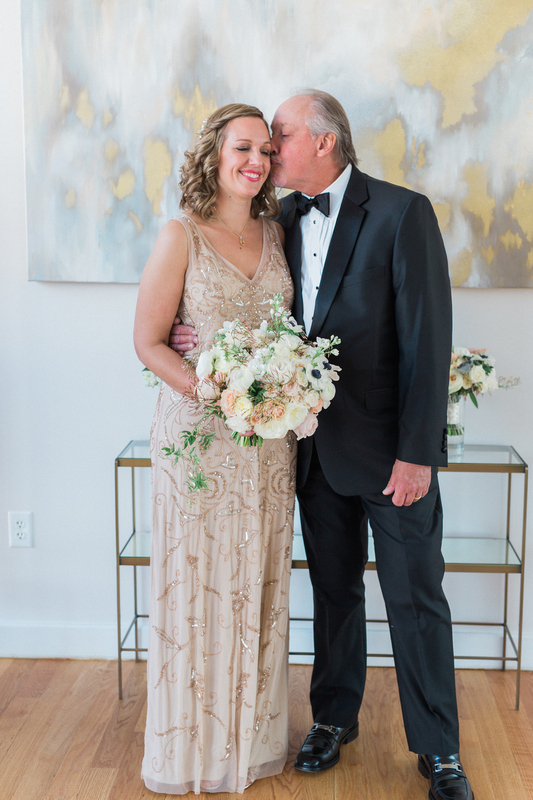 After an intimate ceremony at The Stockroom, the bride and groom sneaked away to the The Glass Box for a dinner together while their guests enjoyed cocktail hour and the space was flipped by the C&D team and Donovan's Dish staff. 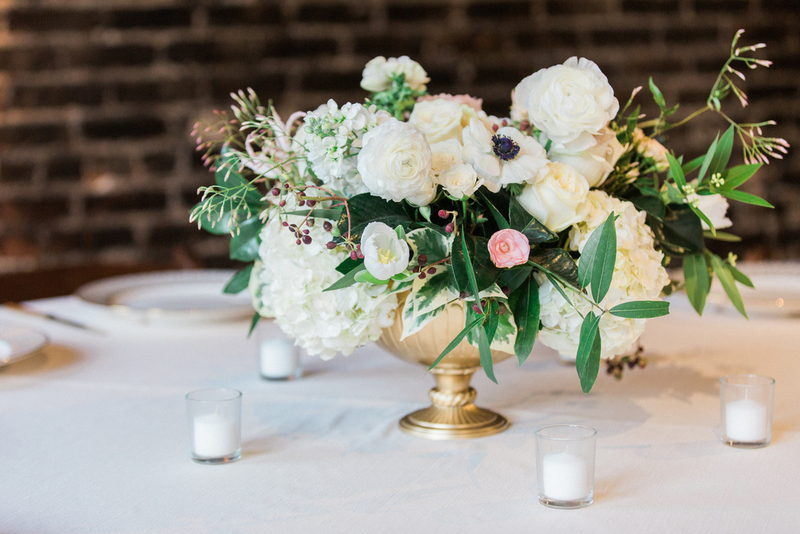 Tables were set with low compotes with lush florals and votives. 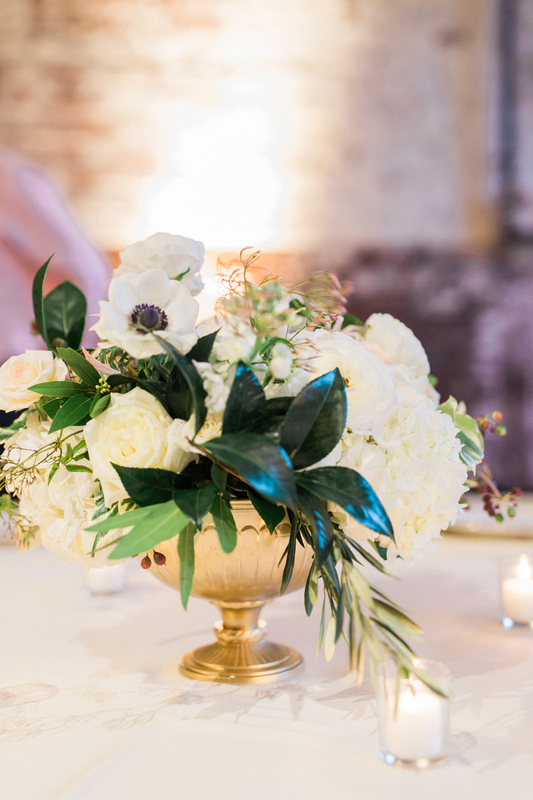 Below are our favorites from Becci Aimes Photography!